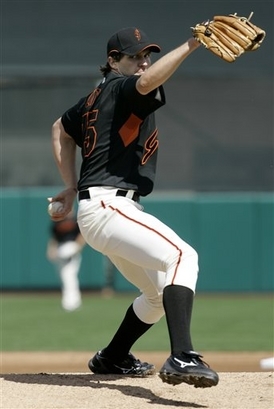 barry bonds run might be over as the main barry for the giants as barry zito moves in. i surely want to watch a couple of his games this summer. i’m not saying he’s going to resurrect the giants and make them contenders, but at least we have someone exciting to watch this season. let’s hope that he stays as healthy as he was with the a’s. i don’t think he missed any games due to injury during his whole run there. i won’t comment on the giants acquisition of dave roberts and rich aurilia or having ray durham bat cleanup behind barry bonds.